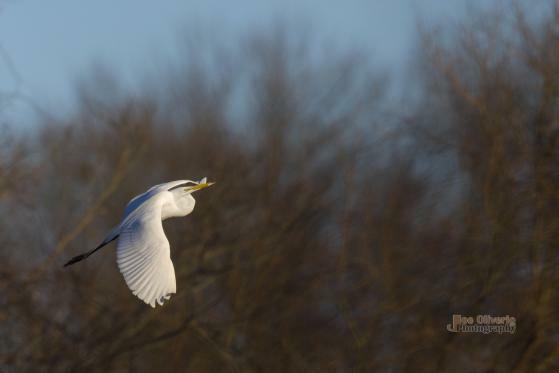 This photo of a Great Egret was taken in Longmeadow, Massachusetts. Longmeadow borders Springfield. The photo was taken at Fannie Stebbins Wildlife Refuge. Great Egrets eat mostly fish. To enlarge the photo, click on it, then scroll down and click "see full size image." The photo was taken on April 22, 2018. Photo by Joe Oliverio. To buy a print of this photo, e-mail him at joeoliverio@comcast.net or visit his web site www.JoeOliverioPhotography.com.